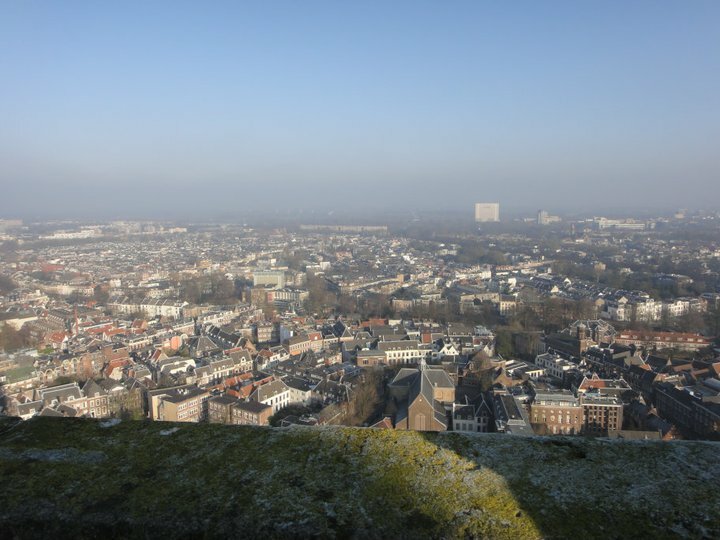 The whole Erasmus adventure began for me when I was told that I was going to spend five months in the city of Utrecht, in the Netherlands. I then had to find my way through an impressive administrative maze which would have discouraged even the bravest. What a relief when I finally received my confirmation letter in August: I was registered at UU (Universiteit Utrecht) and the big adventure was about to begin for real. The purpose of this blog entry is not to tell my whole Erasmus experience. I could go on forever about Utrecht (as some people have noticed already) so that a full account of my trip would need millions of words. This text will thus just consist of a non-exhaustive list of things that you should absolutely know in order to survive in Utrecht. city (for sale for around €7 at the tourist information centre next to the Dom). It will prevent you from asking passers-by the way every ten minutes. 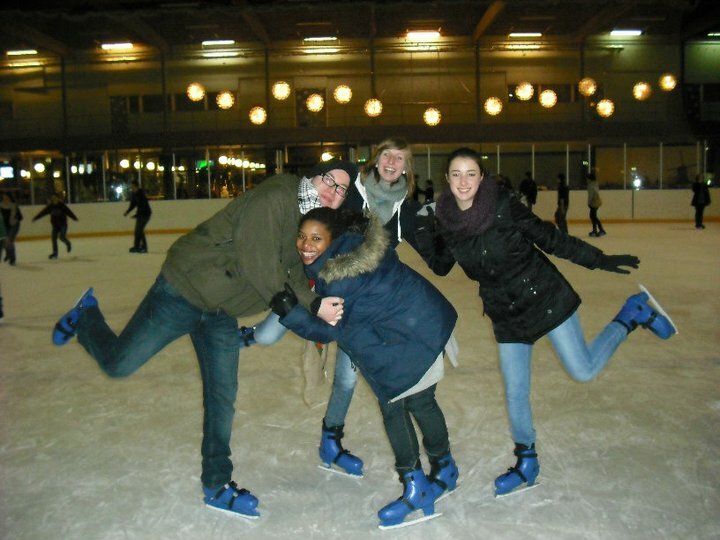 Even if the centre is not so big, a lot of parties organized by Erasmus students take place in further neighbourhoods. And belie ve my experience, after a few glasses of wine, on your bike, in the dark, you will certainly lose your way more than once. Yes, your eyes are not fooling you, you have just read “on your bike”. As one of my Erasmus friends used to repeat: in the Netherlands, “your bike is a concept, dude”. It is indeed the transport number one, but riding on the Dutch manner requires some prior knowledge. If you want to keep your bike as long as possible for example, my advice would be to use an old one and a big padlock. If you have the choice, buy a colourful bike, or decorate it with flowers... or just trust your visual memory to find it on huge bike parks. You should also have lights (you can find them for €4 in the Hema) or you will risk paying a fine of €60 when the police catch you without them. What's more, never forget that riding can be very dangerous as my two accidents show. Finally, be cautious concerning Dutch humour: always tie your bike to something unless you want to find it in the canal! One of the reasons for using so much the bike is that public transport is really expensive in the Netherlands. 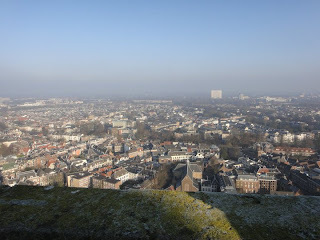 Utrecht is situated in the middle of the country, which is nice if you want to do some sightseeing, but you will spend ridiculously lots of money on it. Especially if like me, machines do not like you. I was once in the subway in Rotterdam with a friend and we were using our ov-chipkaart (a card that counts the number of kilometres you ride and charges you a certain amount of money for it). However, for exactly the same journey, I had to pay €1,20 while my friend was only charged €0,44 without any apparent explanation. Moreover, the card already costs €7 unloaded and it does not give more advantages than normal tickets. On top of that, you always have to check in and out (which means that you have to hold your card against a card reader) while getting in and out of the train/bus, and if you forget, you will be charged €4 in the bus, and €20 in the train! So, follow my advice: do not buy the ov-chipkaart, unless someone threatens you to make you eat peanut butter if you don't. This leads us to the following topic: food. Some advice should keep you from getting indigestion. Never order “patat met” because Dutch mayonnaise has a sweet taste which is really unpleasant. Don't try drop either: it tastes like hell! Do not look for a “dago” at €2,20 like in Namur, it does not exist; instead of that they have small sandwiches which cost at least €4. One thing you should know about restaurants is that they can be situated under street level. So don't follow my example, which consisted in booking a table in a restaurant and never being able to find the place, because I never imagined that it could be at the canal level. If you do not understand what I am talking about, click this link. Finally, if you're home-sick, you can find all Belgian beers in Café België, where, next to the portraits of King Baudouin I of Belgium and Queen Fabiola, you will really feel like you're home again. Let's now turn to some practical matters. Finding accommodation in Utrecht is not an easy task. I would advise you to use the internet site Kamernet in order to get invited to “hospiteeravonden”. There you will compete against ten other people for the title of future house mate, which means pretending that you are the most kind, fun, interesting and clean person in the world. However, if, for some reason, people do not find you perfect enough so that you don't find a room before going there, do not get stressed out: just sleep in a B&B until you find something affordable. Never ever use SSH, unless you want to have a 16m² room, situated 7km away from Utrecht for some €500 a month, or share a room with an other person. Another practical problem in Utrecht is that, although the Netherlands belongs to the EU, the supermarket Albert Hein does not accept international bankcards (look for the mistake). Always keep that in mind unless you like discovering when you are at the cash desk with all the stuff you want to buy on the conveyor belt that you have no cash and have to run to the nearest cash point. The lovely house I found thanks to Kamernet. I wish... This is one of the windmills at the tourist place called Kinderdijk. Finally, some information about the Dutch. Never kiss them to say hello: not because oily hair (or full of hair gel, you cannot always tell) is contagious, but because people have the strange habit of shaking hands. When they meet new people, they accompany this gesture by their own name in order to introduce themselves. It all looks very official so that I tended to forget about it and people thought I was a bit rude, I guess. Finally, do not worry if your Dutch vocabulary is not more extended than “leuk” and “gezellig”. Dutch one tends to be reduced to these words too. Thanks to these pieces of advice, you should be able to survive as an Erasmus student in Utrecht. However, if you real ly want to get “ingeburgerd”, you should do much more: get the AH's (Albert Hein's) bonuskaart, become addicted to Dutch TV programs like “Boer Zoekt Vrouw” and “Goede Tijden, Slechte Tijden”, go and see the queen for Prinsjesdag, go ice-skating at least once a week, only eat Gouda cheese or peanut butter on your bread, wear clogs and live in a windmill among others. If you want to know how to become a real Dutch or if you want more information about Utrecht, don't hesitate to ask me. 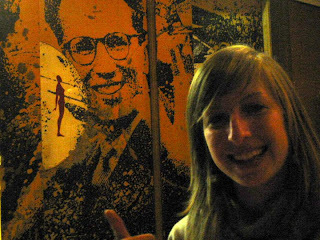 I would be quite happy to revive my Erasmus trip through a small talk with future “Utrechters”.